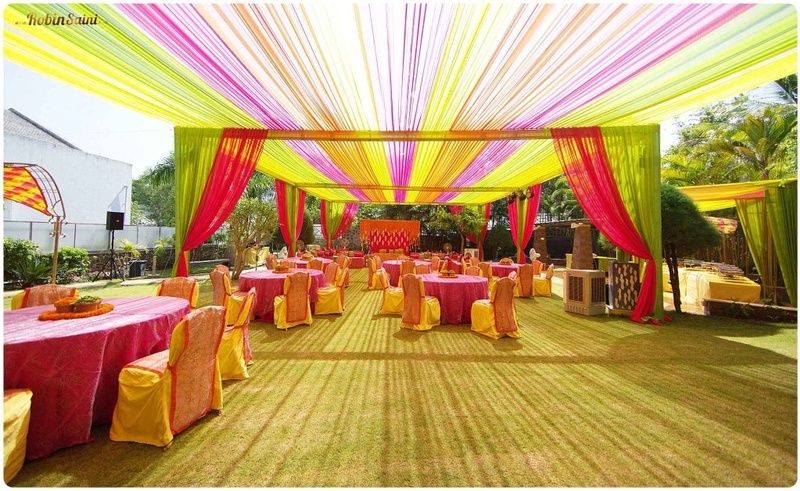 5 Decorators in Surat Who Can Set Up That Stage For Your Big Day, Literally! If you are getting hitched in Surat, then you are in for some pleasant surprises! Apart from the gorgeous food and mithais, Surat also offers some splendid wedding decor options that you and your fiancé will absolutely LOVE! For all the lovely brides-to-be getting married in Surat, we have created a list of the best wedding decorators in Surat who can weave magic into the mandap decorations and other essential spaces. Our list of decorators in Surat consist of the most efficient and creative teams that can give you innovative ideas when it comes to entryway decoration, mandap decoration and other wedding decor essentials. Take a look at our top decorators in Surat and decide on the one who can transform your wedding venue into a magical one! Popularly hailed as one of the best decorators in Surat, Suraj Decorators use an assortment of accessories to decorate your wedding venue. The experienced team has many creative solutions up its sleeves and can use traditional to quirky accessories for the big day. With their floral designs and lighting, you can never go wrong when it comes to wedding decor! From mandap to stage decoration – Shree Laxmi Decorators can do it all! The efficient team uses drapes, flowers and other accessories to adorn your wedding venue and creates a look that is unique and picture perfect! They can also set up wedding venues for lavish weddings by adding a touch of royalty to it. Ambient lighting, floral designs and efficient planning make Shree Laxmi decorators a great choice for weddings in Surat. National Decorators are one of the most sought after decorators in Surat and are sure to make your wedding venue an awe inspiring one. With years of experience under the belt, the decorators promise to combine the best of traditional and contemporary designs to lend a customized look to your mandap, stage and entryway. Make your wedding day a memorable affair with Mialn Decorators’ impressive work in wedding decor. They can give an array of innvoative ideas for your special day and you can weave your unique elements into it to make it truly personalized and unique. Headed by Lalit Sahani, Tulip Event Company is a team of experienced decorators and florists in Surat who can make sure that your wedding venue is made picture perfect. They use drapes, decorative lights, flowers and others accessories to create a colourful and inviting venue for the day. They can also help you incorporate various elements into the decor to help personalize the space.